Women's Health Power your wellness with quality health vitamins and supplements made specially for women. 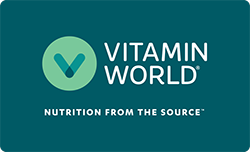 Find head-to-toe supplements from the best brands, including specialty formulas by Vitamin World. All created to let your health shine from the inside, out. 120 - 240 Softgels | 1300mg. 7 oz. Powder | 6000mg. Evening Primrose Oil 1000 mg.